► Can it keep up with Dacia and Skoda? Few car companies can report the kind of growth percentages that MG have in recent years. 122% year on year is, at a glance, the kind of figure that would see the new and softer Morris Garages octagon on every high street. 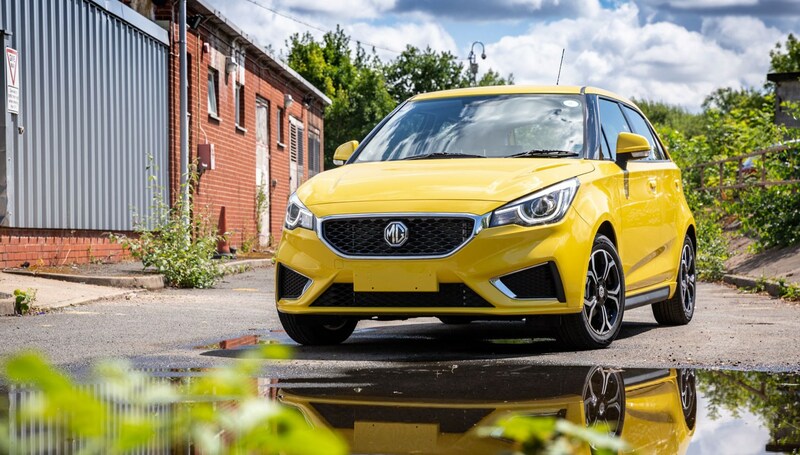 Perhaps that’s the surprise that MG refer to in the strapline ‘The surprising new MG3’ - that one is going to leap out from behind a Fabia or Sandero to startle you. It’s not. MG’s UK sales figures have hovered below 5,000 units for the last couple of years, despite the introduction of two new models. Their aspirations for the facelifted small car we see here are just 0.6% of 448,000 superminis sold in the UK annually. Stick with us, though. This has been a thing for a while, right? The original reached the UK market in 2013 and despite some rough edges, had some decent MG DNA in the experience. Admittedly it was more Metro than Magnette, and without yuppie-brace red seatbelts, it was saved from mediocrity by direct steering with decent feel and suspension that kept the car neatly under control at fun B-road speeds - with less of the grim-faced stiffness many competitors consider ‘sporty’. In short, it was an affordable, good value and involving car that deserved more than just crumbs of market share. As a new, relevant model, felt like it had potential to become good with a bit of tuning and refinement. So what about the new one? Now MG has a new head of marketing and a new in-house style. The former comes from Renault, the latter has some echoes of established premium marques in Chinese ownership - okay, Volvo – and no doubt contributes to the (relative) success of fairly attractive ZS. This family look scales well for the MG3. Gone is the rather awkward twin-slot snout - now there’s an upright grille with wiggly line ‘mesh’ and a hydrofoil-esque blade motif ahead of the front wheels. At the rear, the tailgate is simplified and the tall lights have a smooth, evenly-illuminated lightpipe running up the C-pillar. Even so, the profile is much the same as 2013’s model, with the same wedge-shaped crease at the base of the doors, and half-floating roof design. It’s a little derivative of several superminis offered in the UK, but that gives this Car-ma chameleon the best chance of fitting into the UK marketplace. Most MG dealers sit alongside other marques, and focusing on the value element of the car, Head of Sales & Marketing Daniel Gregorious suggests the MG3 (and ZS and GS) form an ideal budget range for dealers otherwise offering cars in a more premium sector. Hints of SEAT, Skoda and Volvo mean it blends in neatly, a cuckoo in the nest that might get to fly soon. Well, that’s about where we can stop. Once on the road, the addition of an inexpensive LCD display is not going to save a five-year-old and incredibly average supermini in one of the most fiercely contested segments of the market. Particularly when the starting price has risen from £8,695 to £9,495. Go for the best equipment to get the touchscreen infotainment, cruise control and part-leather seats, and you’re handing over £12,495. There may be changes to every panel and a much-improved dashboard, but it’s still powered by a (under new testing standards) 140g/km emitting 1.5-litre engine, still has a five-speed gearbox with widely spaced ratios, and still feels like a design that owes more to 2008 than 2018. SAIC may want MG to be a global brand and value their UK design centre and heritage, but it doesn’t feel like they value the UK buyer particularly. 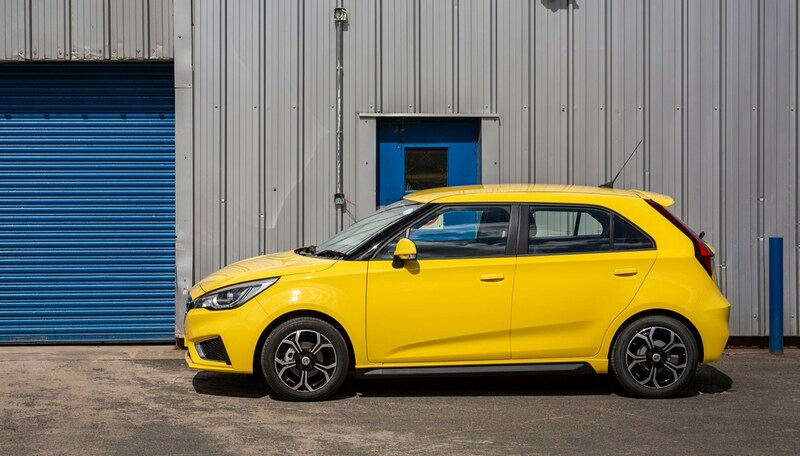 In that five years, technology has advanced to the point where the MG3 looks almost laughably outclassed – there’s no autonomous braking, no adaptive cruise control, you still have to put a key in the ignition and twist it. Even the wiper blades are old-school metal cages. How does it drive, though? Some of the pep of the old model has gone, too – and that’s a shame, because that enthusiastic coarseness gave the original MG3 a bit of character. It’s a subtle difference, but working the engine hard doesn’t deliver the same rewarding increase in pace, and shifting gear frustratingly drops the car from the end of peak torque to the start of a noisy, Sisyphean task rolling the car uphill. The grip is still there, but maintaining a pace to enjoy it simply isn’t fun. Out of town, the tall gearing helps on the motorway but your ears are subject to a new assault – minimal sound insulation enhances road noise, welcomes tyre roar and for a full aural spectrum, a breathy flute fills the high notes with wind noise from the A-pillar trims. It’s an acceptable car, for sure. There’s nothing in the driving experience that is unpleasant. There’s also nothing in there to aspire to, and a lot of missing items that UK buyers take for granted on a brand-new car even at this budget. MG’s justification for the package we get in the UK is that it is all about value – specifically an impressive seven-year, 80,000 mile transferable warranty, five-year 0% finance, and a low(ish) price. 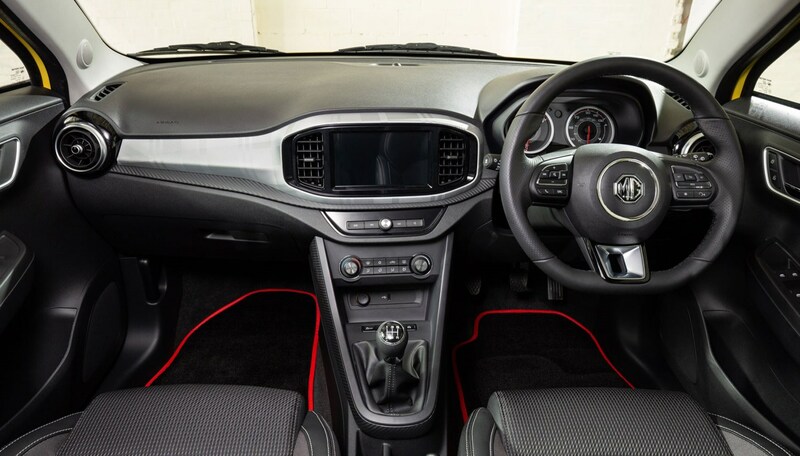 Yet we can’t help feeling that the value needs to be the surprise – after you’ve already decided you desire, aspire to owning the MG3. If you’ve going to go for the 1% of the market, cost is less important than identity, and this car needs some proper old-school MG tuning and a lot more power to get some attention.